Hi Moxie Readers! This is the start of a new monthly column where our editor, Becka, tells you what she’s bought or used each month that made her say “WORTH IT.” Deciding what to buy can be hard. We got you. Guys, I used to have cheap old knives I bought at Target. They sucked. They didn’t chop anything. Since my boyfriend gave me my first real knife for my birthday last year, I realized how easy it is to cook when you have tools that actually work. Start with one general purpose knife, and go from there – you may need more, you may not, but either way I PROMISE – it’s going to make your life so much better (and make you feel like a master chef). Tip: You want a knife with the blade metal going through the handle – that’s how you know it’s a strong blade, and not just a piece glued to some plastic. 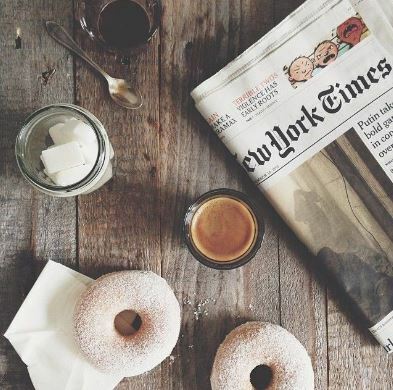 Every Saturday and Sunday, I stroll outside in my robe to grab the paper before curling-up with a mug of coffee and my breakfast to read the paper. I feel like Katherine Hepburn in an old movie. It’s the most luxurious feeling in the world; and the whole thing only costs about $10 a week. Reading the news the old-fashioned way (i.e. no search button) will expose you to stories and ideas you haven’t heard or thought about, and will make you a better, more informed citizen. It’s a win/win situation! If you’re anything like me, your headphones are usually in a tangled mess at the bottom of your bag. Not anymore! 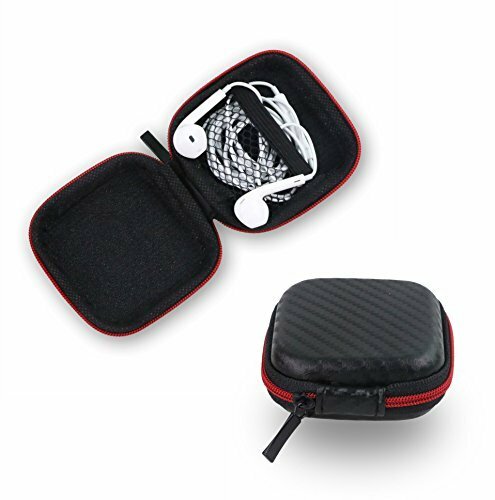 My new headphone case allows me to keep them nice and de-tangled, making for a much more pleasant morning commute – not to mention making them easier to find.Three cheers for headphone cases!